Since the day we received our new Skipper 10 custom dinghy I have been waiting to write this letter expressing our appreciation for the personal service and wonderful finished product we received from Tender Care Boats. We have been sending pictures and personal notes as we have enjoyed "KNOT HIS", named by your own Tera Toft, for the past few months. The reason for the delay in writing is because I wished to see if the early satisfaction carried over into daily use of the dinghy. After repeated enjoyable days of fun on the water I can report that the on water use of "our little yacht" has been a delight. She performs responsively and each time we go out people are pointing and asking where we got such a lovely little craft. When we go into a restaurant it is not uncommon to return to people on the dock admiring her. 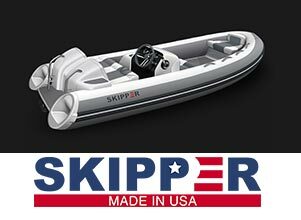 Every aspect of building this custom product was completed with personal contacts from you and your staff to ensure that we were getting the boat just as we specified. The attention to detail was evident from the start. The receipt of pictures as construction proceeded allowed us to feel that we were involved in every stage of completion. The delivery of the boat was on a truck with a specially designed cradle and the driver was certainly knowledgable in seeing that his instructions were followed until the boat was carefully unwrapped and lifted from his truck. I certainly encourage new owners to go for sea trials after completion. We were unable to do this, however your quick response to questions made new operation an easy process.